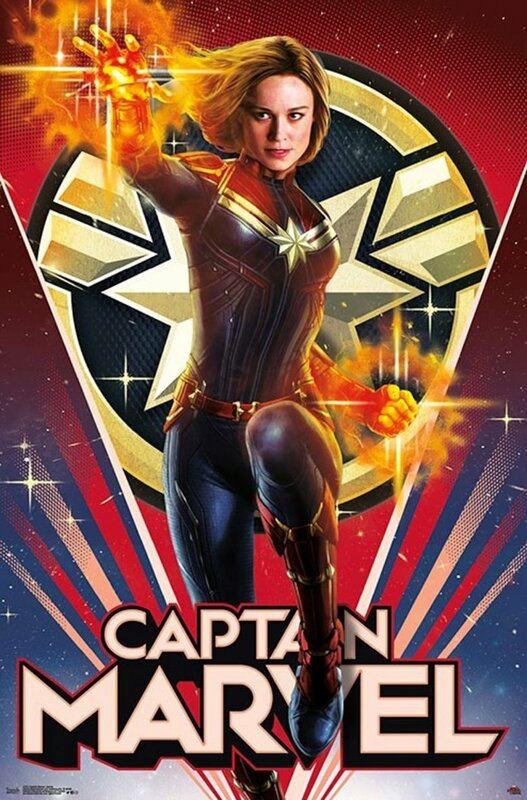 A new year means new methods of marketing Captain Marvel. 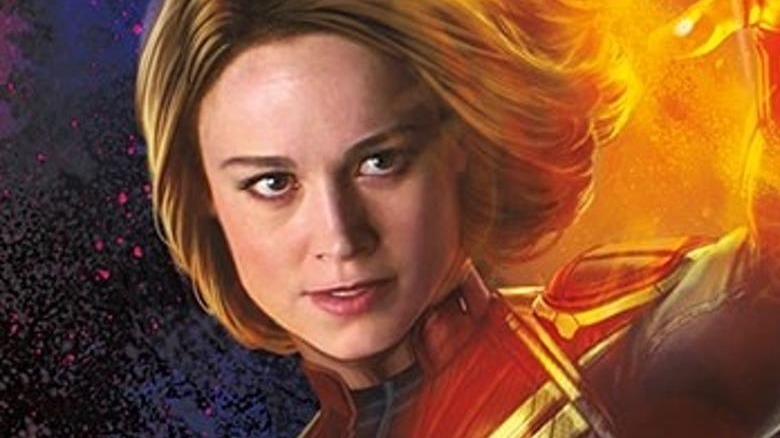 Trends International is keeping the pre-release promo cycle moving with a batch of cool character posters for the Brie Larson-led superhero standalone. Earlier this week, the online print website made four new one-sheets available for purchase. 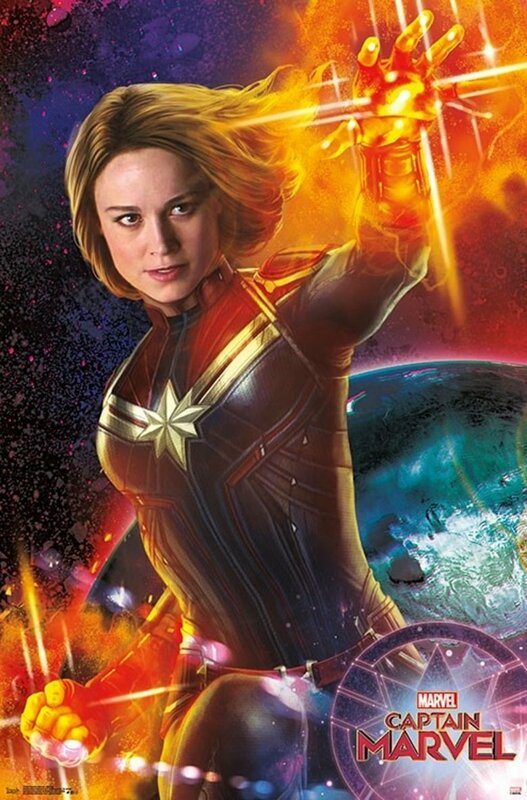 Two of the posters feature different versions of Larson's Carol Danvers: one that displays a colorful galaxy background behind her, and another that positions her in front of a costume-inspired backdrop. Another centers on the nefarious, shape-shifting Skrull leader Talos (played by Ben Mendelsohn), who invades Earth and works undercover within S.H.I.E.L.D., and the final one gives us a new look at Carol's fuzzy pet cat Goose, who may end up being more evil than adorable. Check out all four new Captain Marvel posters below. Like we mentioned before, Goose's true "identity" is still a fairly big mystery — and one that fans have been theorizing about since they saw the little critter in the first Captain Marvel poster and subsequent trailer. 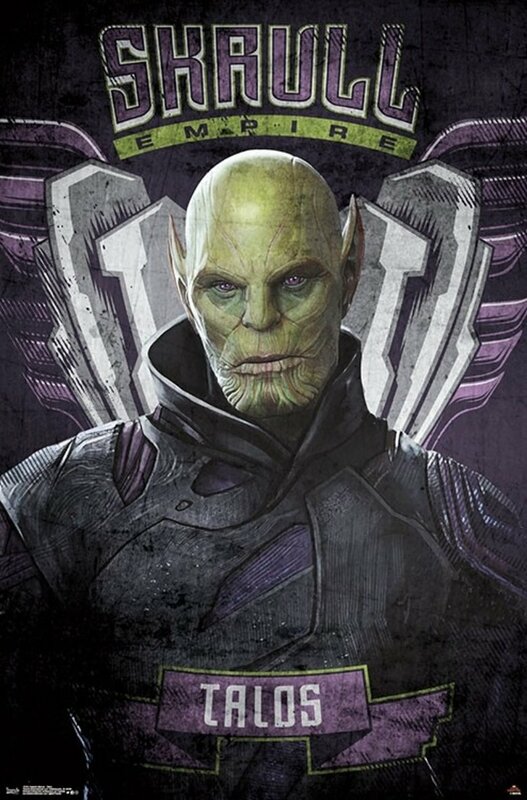 One popular theory claims that Goose isn't actually a furry feline but is really a Skrull — one of those sinister aliens that can take on any form it so chooses — and that the cat, which Samuel L. Jackson's Nick Fury takes a liking to and apparently starts to trust, ends up scratching Nick's eye out. "That cat is probably a Skrull and big ol' Nick is gonna get a wack to the eye," a fan postulated on Reddit. This theory seems to check out, considering that Nick has only once discussed losing his eye, uttering this line to Chris Evans' Steve Rogers in Captain America: The Winter Solider: "Last time I trusted someone, I lost an eye." Additionally, it holds further credence in the comic-backed fact that is that Goose is genuinely an alien — a member of the flerkens species, extraterrestrials that look like cats but who are incredibly powerful. 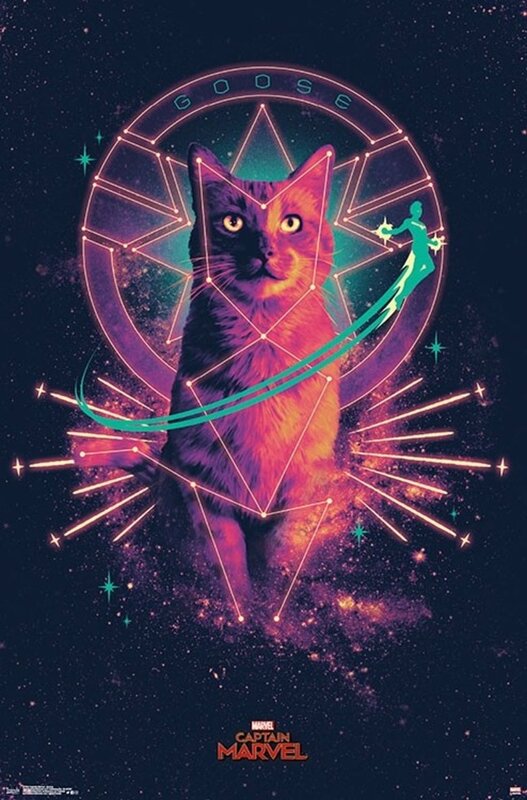 We aren't in the business of making hard-and-fast claims about whether a theory could end up proving true, but based on the information at hand and the fact that this new character poster for Goose carries a strong galactic feel, the idea that the cat isn't what it seems is definitely worth keeping on your radar. Thankfully, fans don't have much longer of a wait to discover the truth about Goose, see Talos stir up chaos on Earth, and watch Carol Danvers fight back in epic fashion. Directed by Anna Boden and Ryan Fleck — and also starring Jude Law, Djimon Hounsou, Gemma Chan, Lashana Lynch, Lee Pace, and Clark Gregg – Captain Marvel is due out on March 8.